The first thing that makes me like a product, is the packaging and the bottle. Oleavine comes in the cutest bottle that I have ever seen. It is mostly clear but has some adorable pink butterflies on it. Normally I don't like pink, but it really looks good on this product. Some people may say that it makes it look childish but I think that it adds to the appeal of the product. The product itself is white and looks very much like a lotion. 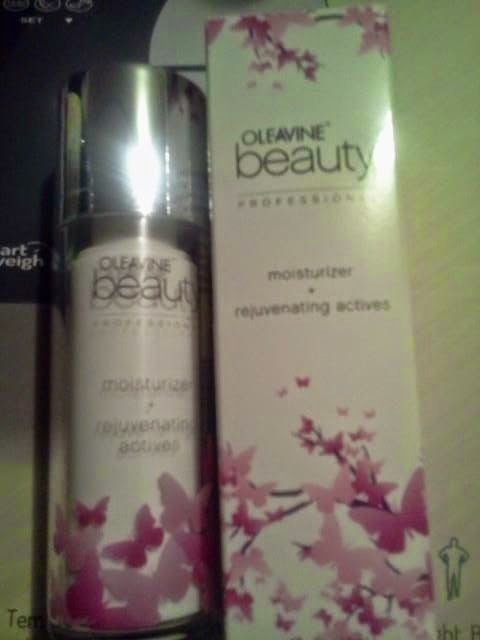 Oleavine is a two in one product. Not only is it a moisturizer, but it is a serum too and it is organic and has all natural ingredients. It helps with inflammation and has anti aging ingredients in it as well. It is crafted with little to no heat, heat would only hinder the ingredients. This comes with probably the best top I have ever seen. It took me a minute or two to figure out exactly how to get it open but once I did I was in love. It has an airless pump and the top closes completely so you know you are safe and nothing can get in there that shouldn't be. No germs getting into this product. 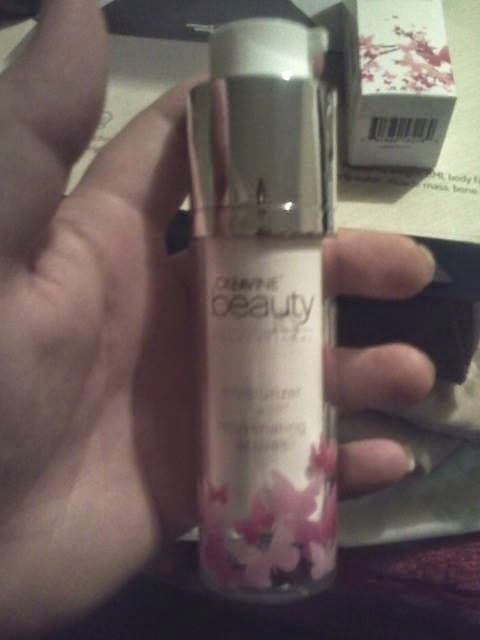 I love how this product looks, smells and works. My face tends to swell and with this, it looks a whole better and even leaves me with that glow that I love. By combining the serum and the moisturizer, it also says me a few minutes. Instead of applying a serum and waiting for it to dry and then applying a moisturizer, it is one and done. This product comes with 100% guarantee, so you won't have to worry about losing out on anything besides a swelled face and some wrinkles. If you want to find out more about it, head on over and check it out on Amazon by clicking here.